Growing your plants secretly and privately is possible only with the help of stealth grow box. They are completely different from Grow Tents. Stealth Grow Boxes looks like a cabinet as you can see in the pictures given below (scroll down to review section for images). Many growers who do not want others to see what they are growing used stealth cabinet to keep their growing secret. You do not need to hide the cabinet, just place it anywhere in your house. It looks identical to the ordinary closet moreover it does not let the light or odor to escape from it. Best stealth grow boxes are hard to find in Canada because there are not many options available. the only way to find a suitable grow box in Canada is searching for it online. Amazon has few grow cabinets which can be used to grow anything. But there are some issues with the build quality of stealth grow boxes of some brands. In this post, we will review two topmost grow cabinets that are used for private growing from years in different countries. Without any doubt, their build is super strong than others and have years of life. They can handle rough usage. Stealth grow cabinets are costly so it is best to buy after the complete research. 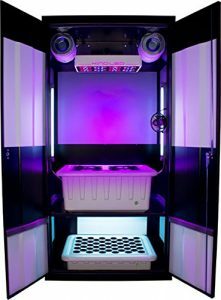 If you are thinking about buying the grow cabinet for your growing plants to hide them from the family or friends then this article is for you. You will find a detailed review of best stealth grow cabinet or box. Grow boxes are costly but you do not need to spend a large amount of money on so-called specially made grow boxes. Following two are the best suitable options that we have in the market for a long time. We are using super closet grow cabinet to hide some plants from our friends and visitors. We are growing them at our home and our neighbor does not smell them. Before recommending anything we want to know, do you know how to buy a suitable growing cabinet? What you need to look while choosing stealth grow box for your plants? What things you can get in your growing cabinet? 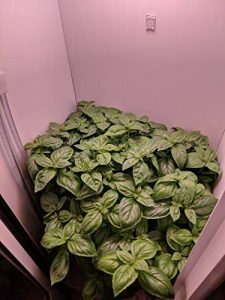 Is it ok to grow anything in grow box? What if you don’t like the quality of cabinet (any refund or exchange policy)? How much money is sufficient to spend on them? Which size of the cabinet is suitable for you? Which brand is best and why? Do they really work same as the manufacturers claim? How long they will work once you start using them (lifespan)? Is it legal to buy them in Canada? Do they really help to control the odour or smell of growing plants? Do they grow healthy plants? How much electric power a grow cabinet need to run? There are hundreds of doubts like these read below to clear all of them. First of all, check the pros and cons of having a stealth growing box or cabinet. Include everything that you need for indoor growing and Many more…..
Below are some important points that you need to keep in mind while selecting any stealth grow cabinet. This part is about the features that you need to lookout before purchasing any of the grow cabinet. Read carefully and understand the importance of each given feature. This is the very first part that you need to consider before thinking about stealth grow box. If you are a beginner and do not have much experience with indoor growing, we do not advise you to buy any grow box. Grow some plants without it and gain experience. when you believe you gain enough experience and can grow anything then go for closet growing. Do not spend money on grow cabinets when you are new to indoor growing. Work with some professional growers to gain as much as the knowledge you can then try to grow your own without any help and see where you stand? What is your level of indoor growing? 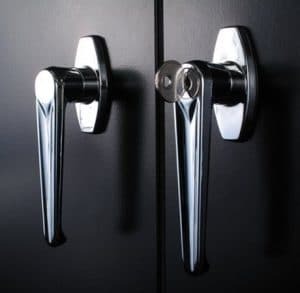 Do not copy others, if your friend has a super closet this does not mean you too have to have buy one for secret growing. Choose light-proof grow box as you do not want others to know your closet is not an ordinary closet it is something else. Check for the holes in the closest body. They let the light escape from them and your entire system became less efficient. Remember light is everything for plants. They do not grow without sufficient high-quality light. The full spectrum of light is generally considered top quality light for plants. Another thing is which type of grow light is installed in the grow box by the manufacturer. Some manufacturer uses cheap non-branded lights, do not buy such cheap stealth boxes. Stealth cabinets come with all types of grow lights like T5, HPS, LED. You have to decide which grow light you want in your stealth cabinet. You can request the manufacturer to install the light of your choice (this will affect the price). In our super closet stealth cabinet, we have LED grow light and it is working fine. More the light frequencies (means more bandwidth of frequencies), better will be the plant growth. We advise you to choose LED artificial growing light because they emit a full spectrum of light which is proven to be extremely helpful in growing indoor plants. Another benefit is they consume less energy as compared to the other lighting technology which results in low electric bills. This is the extremely important part that you need to take care of. Choose the growing medium according to your growing environment. Grow boxes comes with both hydroponic growing mediums and with soil as a growing medium. We believe it is best to choose one with the hydroponic growing system. You need to monitor the system many times a day once you choose hydroponics. Whereas in the case of soil as a growing medium, you need to pay less attention. There is no guarantee of bigger and better plants when you use soil as a growing medium in grow cabinet. But with the hydroponic systems, it is guaranteed that you will have a strong and bigger plant with more yield at the end of growing cycles. DWC systems are good to grow any plant of your choice whether it is a medicinal plant or regular fruit and vegetable. Just supply the best nutrient solution to your plants to feed them quality nutrients and see them growing super healthy with more buds. The hydroponic system gets failed when the supply of nutrient solution is interrupted or stopped due to the failure of the pump or motor. So, it is important to check your hydroponic system at least 3 times a day. Pay close attention of odour controlling capability. It is mentioned in percentage on all online websites. More the odour control percentage means the product is more capable to conceal the more smell of your growing plants. We all know every device which uses electricity to run produce some amount of heat energy. The same rule applies to grow lights they also produce heat energy. Choose those lights which are proven to release low heat energy otherwise your room or growing area will get more heated than other parts of your place. LED grow lights are best to use if you do not want your system to release an excess of heat which will create a problem for you. Excess of heat is also not good for your plant. It can damage the plant permanently or burned the leaf. Choose lighting system carefully. Nobody like to have a growing cabinet in the room which produces buzzing sound all the time. So choose that which produces less noise. A perfect Stealth box should be noiseless. Check all the available designs before choosing anyone. Always buy that cabinet which is a little boring and look like an ordinary cabinet. Do not buy stylish stealth cabinet otherwise, people will say- Wow that is so cool looking cabinet, can I check it I also want a cabinet like this, how much it costs, where you buy this? Etc. so, it will be hard to answer all those questions. Look for the simple design. It is your choice to buy a fully automatic cabinet which will do all the work and need less attention. They are costly than semi-automatics because in semi-autos you have to do some work daily and they need more attention than fully auto grow box. It is totally depending upon you because you know your growing area best. If you want to put it in the basement than choose any size but for a room choose a small size which will adjust easily in your room without occupying more space. The power or wattage is directly linked to the power of your grow light. More powerful grow light means it will require more wattage to run. More wattage means more electric bills so go for an LED light that consumes very less wattage and emit high wattage of full spectrum light. Buy branded lights and save money on electric bills. This also makes your production cost very low so that you can enjoy another season of growing without worrying about expenses. This is the super locker that you can put in anywhere whether it is your kitchen, bedroom or hall. It looks like an ordinary sports closet that you will find in any gym. It will protect your plant and make them grow secretly in a safe place. 66”x15”x24 size is enough to hold 16 plants easily. The system uses hydroponics to grow plants means you need a nutrient-rich solution to grow your plant. The combination of top feed drip and DWC make it best suitable and highly strong growing system which can hold 16 plants easily and effectively. 16-gauge steel is used to make each and every piece. This high strength material makes it fireproof automatic growing system. No need to pay much attention because it is a completely automatic system which does everything on itself. The most interesting thing about this closet is it is powered by the KIND K3 L450 LED grow light. An optical lens is there for deep penetration. If the light does not get deep inside the plant than there is something wrong with the growing system. This results in insufficient growing. To overcome this problem the manufacturer uses an optical lens which is proven to emit the light right on the plants. The absorption rate of light is also depending upon the quality of grow light. KIND LED grow lights emit high-quality light which is essential for plant growth. The grow light emit a perfect spectrum of light which is suitable to grow plants at a faster rate. Other lights are also effective but we all know that KIND led lights are Top selling grow lights in the world. If you buy this supercloset than you do not need to buy anything from the market. This package has everything in it that you need to grow plants at home secretly. The fans, filters, nutrients, TDS meter, Rockwool cubes, hydroton rocks are included in the package so that you can set up your system in less than 100 minutes. The manufacturer gives 3-years of warranty on all parts of the system including light, filters, and craftsmanship. Moreover, their customer support is always available to help you out in any difficult condition (when the system gives an error or not working properly). Users are happy with the system as it is fully automatic, they do not need to look frequently into the system. It requires less maintenance the only thing you need to do is give the nutrient-rich water to the plant and clean the hydroponic reservoir to prevent any fungus build-up. The growing system is fully enclosed so that light will not enter into it which is a cause of fungus. But we advise you to play safe and clean the system once a week. If you keep your supercloset cabinet neat and clean it will work continuously for many years. You can change the grow light whenever you want to do so but we know you do not need to do so. We are using this system last 5 years and all the equipment are working fine. We only buy new TDS meter because we lost that comes with the system. 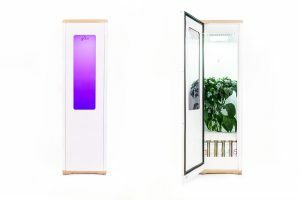 Grobo grow cabinet is highly energy efficient, automated grow box. The automated grow box will grow one plant at a time. The manufacturer gives 200 recipes so you can choose form them to adjust your nutrient potency, pH level, and lighting. You can grow lettuce, tomatoes, peppers, and other herbs at a faster rate. It is very simple to use, all you need to do is just pick the right seed from the market, plant it in the box, choose the recipe in the app and let the Grobo One do the rest for you. Dimensions: 4 feet tall, 14 inches deep and 14” wide. This size is perfect to be fit at any place in your home. It looks good in the bedroom or kitchen due to its sleek design. It contains ultra-efficient high-power LED light which emits a full spectrum of light which is enough for each growing stage. One activated carbon filter is given to remove the carbon out form the box. Plants do need carbon but not always and when they need it, they need in very low quantity. So, do not worry about supplying carbon to your plants. Once you start the system you do not need to look frequently into it as we already mentioned that this is a fully automated system. We compare it with much other stealth grow boxes that we have in the market. We have found that this is the most affordable grow box. The manufacturer gives a steel lock for safety. Dual high-speed noiseless cooling fans are installed in the cabin to throw out the excess of heat. A well-ventilated system to grow any type of plant. 5 bottles of nutrient are free with the system means you do not need to buy any nutrient bottle for months. 11 litters DWC hydroponic system is installed for a better growing experience. It only consumes few watts of electric power. According to a rough estimate, it only adds less than $6 to your regular electric bill. This is all due to the highly efficient LED growing light. FLUID GLASS: The Grobo One is the only company that offers the best stealth growing boxes at an affordable price without compromising with the quality. We know it is not the topmost quality product in the market but when see the price tag and compare with its arrivals than it scores 10 out of 10. For example, Grobo uses fluid glass which allows users to see inside the box by just clicking on the single button from the app. No need to open the cabinet to check growing plant. This way the odor of your plant keeps conceal inside the box and does not come out (you are safe). Also, you check what is happening inside the grow box. 8 Spectrum LED: This is the feature that only comes in the high end grow cabinets. Grobo One make you able to control the spectrum of light by giving 8 different spectrums of light. You can use any of the spectra to control the growth and taste of a growing plant. For example, by changing the light levels you can make your basil sweeter and tomatoes Spicer.